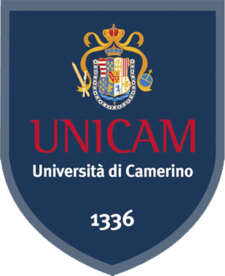 University of Camerino (UNICAM) is a ‘city campus university’ chartered in 1336, with about 600 staff, about 8,000 undergraduate students, and 180 PhD candidates , of which about 40% are international students. UNICAM has 5 Schools which conduct research and training activities in specific scientific fields: Architecture and Design; Science and Technology; Biosciences & Veterinary; Law; Pharmacy. Each School manages its activities in an international integrated culturaloriented environment. High quality of student services and excellence in education and research are the main strategies of the University of Camerino. Recruitment. UNICAM is national contact point for the Italian Euraxess portal for the mobility of researchers and one of the four Italian Universities to obtain the prestigious European acknowledgement “HR excellence in research”. UNICAM objectives have been focused on Didactics and Research – supported by good teaching methods, excellent professors/student ratio (1 professor for 25 students), structures (56 laboratories and 15 libraries), services that offer academic assistance to students such as guidance, tutoring, internship and job placement. Mobility and Vocational training funded projects (Erasmus, LLP etc.) and Cooperation Agreements with universities and institutions worldwide make it possible for staff, researchers and students to participate in exchange and research programs. For many years Knowledge Trasfer is one of the core activities of the University of Camerino. In 2005, UNICAM established the International & Industrial Liaison Office (IILO), for promoting the value of research foreground, opening innovative links between industry and the academic world, with focus on small and medium sized enterprises and care for protection and management of intellectual property rights. Since 2007, UNICAM has convened the local start up competition, for scouting innovation and supporting young researchers in the creation of start up companies from labs and research. Currently, UNICAM has 15 active research spin-off companies. The Research and Technology Transfer sector, established in 2013, supports research groups in the management of national and international Research and innovation funded projects supporting the dissemination, the defence (protection of intellectual property, patenting and licensing) and exploitation of research results. The TTO promotes vocational and training activities in the field of innovation: IPR management, IPR protection and licensing, entrepreneurship, business planning, project design and management.